Though the services of all the teachers are accepted and valued equally, a competition is necessary to bring out the best talents and skills of the teachers too. This assessment is done in our school annually among the teachers, and this year the luckiest person to win the Best Teacher Season 2017, is Mr M.S.M Sameer, a well talented computer teacher loved very much and greatly respected by everyone in our College. 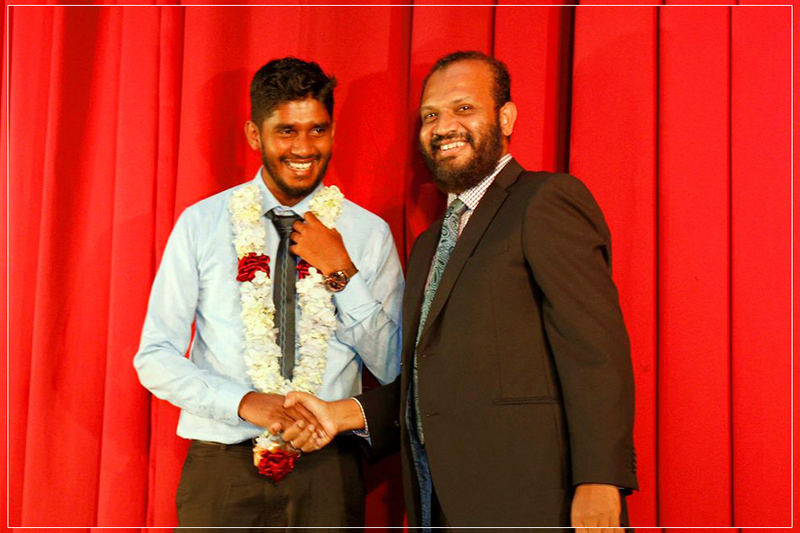 As a token of appreciation an Air ticket to Malaysia, with full accommodation facilities was awarded to him by our College Director, Mr Rizan Zain, at the Blooming Future Hopes ceremony.